If you like how Chrome displays the window controls (close, minimize and maximize buttons) next to the tabs and want this in Firefox under Linux, you'll be glad to know it's quite easy to achieve. 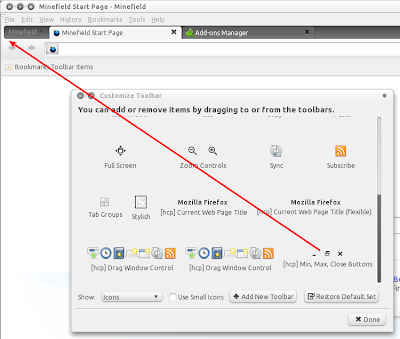 What you'll get: window controls (close, minimize, maximize buttons) next to the Firefox menu and no titlebar for maximized Firefox windows only. Unmaximized windows will still have the regular window titlebar and buttons (unless you apply the tweaks at the end of the post). 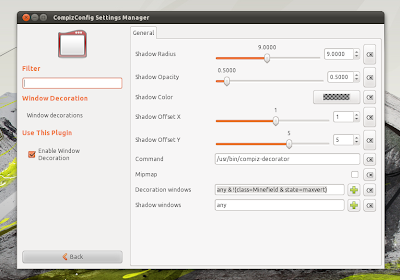 Using Stylish, you'll also get those buttons to integrate with Ambiance and Orta GTK themes. Unfortunately for now these are the only 2 styles available so if you use a different theme, the buttons won't respect your GTK theme. There is another way of doing this: using Window Applets but that's for those that use a Gnome Panel on top. If you don't use a Gnome Panel, then the instructions in this post will allow you to still have window buttons in Firefox while removing the titlebar. 1. For this you'll need Stylish and Hide Caption Titlebar Plus Firefox extensions. Install them, restart Firefox and proceed to step 2. 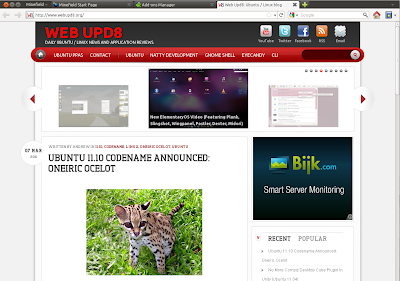 Skin for minimize, max & close buttons: "Auto. Current theme's skin"
4. 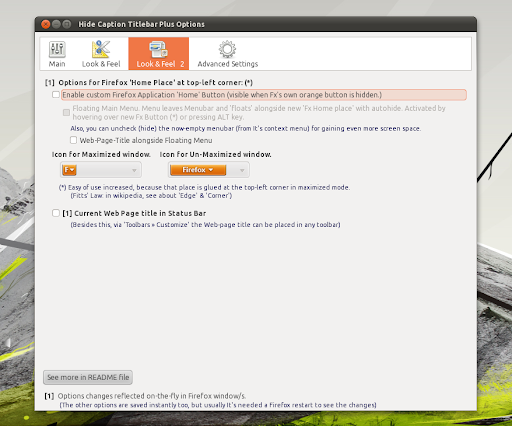 Now you should see some buttons next to your Firefox menu but they look ugly. 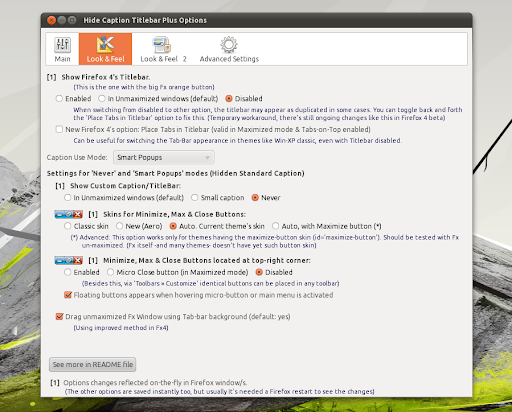 To get some nice looking Ambiance-style buttons, install HCTP Ambiance theme. There's also an Orta HCTP theme (only enable one!). Update: here's another Orta style with a modified alignment which looks better (thanks to Janhouse!). Important: "class=Firefox" is for those using Firefox stable. 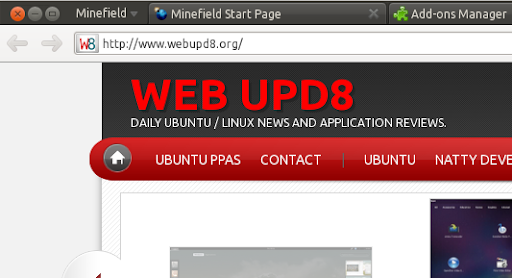 If you're using Minefield for instance, replace "Firefox" with "Minefield". Now when you maximize Firefox, the titlebar should be removed and the window buttons should be displayed next to the Firefox menu (or wherever you've placed the buttons). 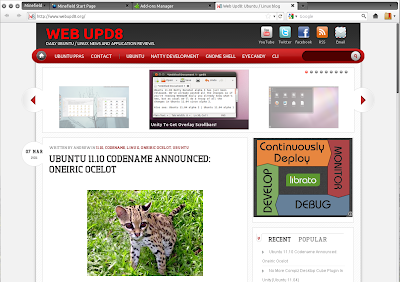 Credits for the instructions and user styles: arzali @ Ubuntuforums.